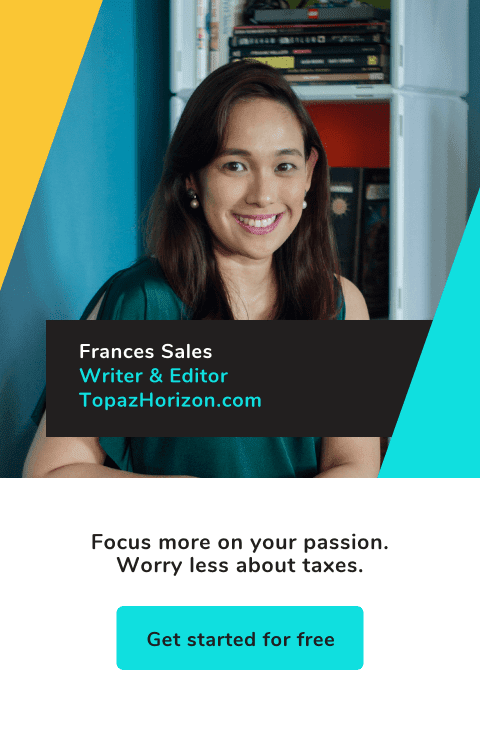 TOPAZ HORIZON: Choose good candy this Halloween! Choose Vita Cubes like I did! Choose good candy this Halloween! Choose Vita Cubes like I did! In my family, candy is a staple. Yep. 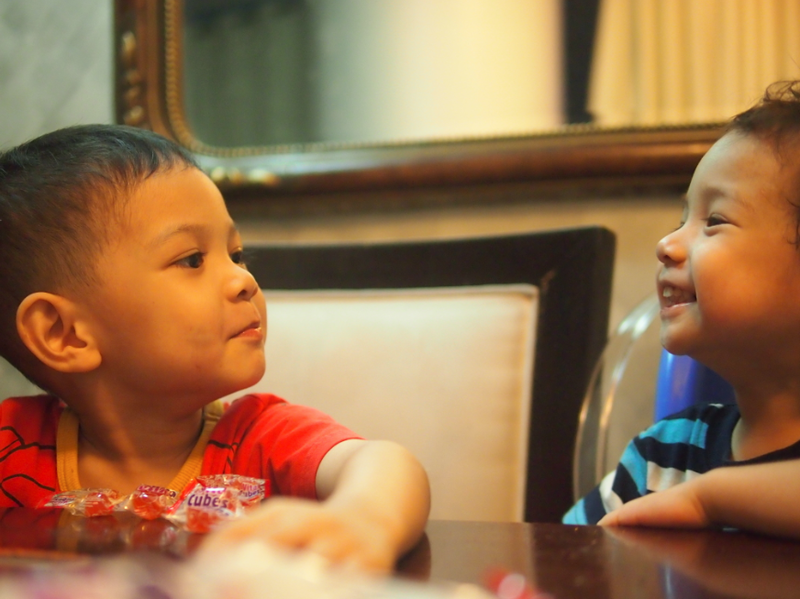 Because my husband's blood is fizzy soda, his bones are made of jawbreakers, and his skin is gummy candy, he passed his sugar-loving gene to our boys. We always have a supply of candy in the house, but don't worry for my kids just yet. Access to candy is regulated by the one person who prefers savory to sweet—me! One of my recent yummy discoveries in the candy world is Vita Cubes. Okay, this isn't new candy. My kids and I have been seeing the TV commercial for months and months, and they've been begging me to buy Vuta Cubes but I always say, "Nope," because I thought they were vitamins. 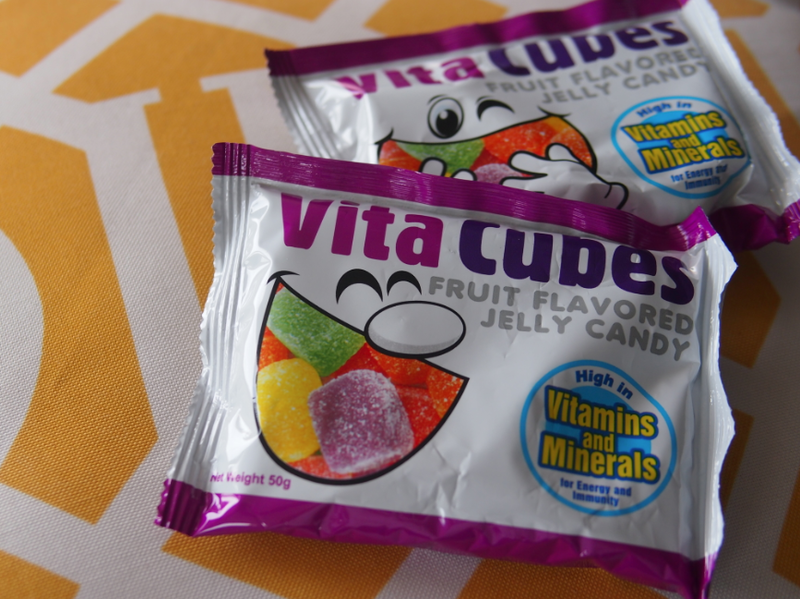 No, Vita Cubes isn't vitamins in candy form. They're candy... with vitamins. There's a difference! And I only recently discovered this because I was looking for candy for my boys for Halloween (the most exciting holiday of the year for lovers of sweets) and for the first time ever, actually read the label. I usually do. I read the label, compare volume vs price, check where the product was produced, stuff like that. But candy, well, we usually just grab the most colorful and most popular ones. So I'm glad I took the time to finally check out the label of Vita Cubes when my middle child (the one with the sweetest tooth and disposition) reminded his Papa to buy Vita Cubes. It's really just candy! The red is strawberry, the orange is orange, the yellow is mango, the green is apple, and the purple is grape. Don't they make you happy just looking at them? Yes? Then you oughta try popping them in your mouth! 1. 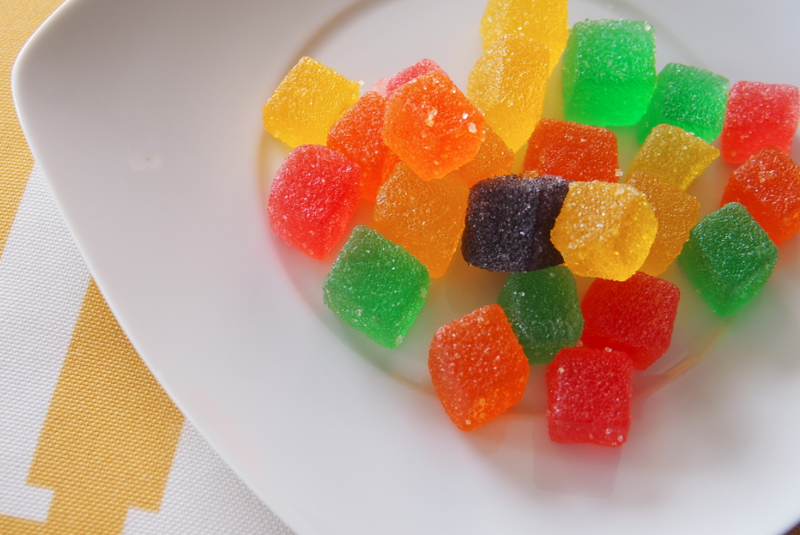 Vita Cubes are candy—not vitamins. I don't like vitamins in candy form because the dosage indicates you can only give one a day. Two max. 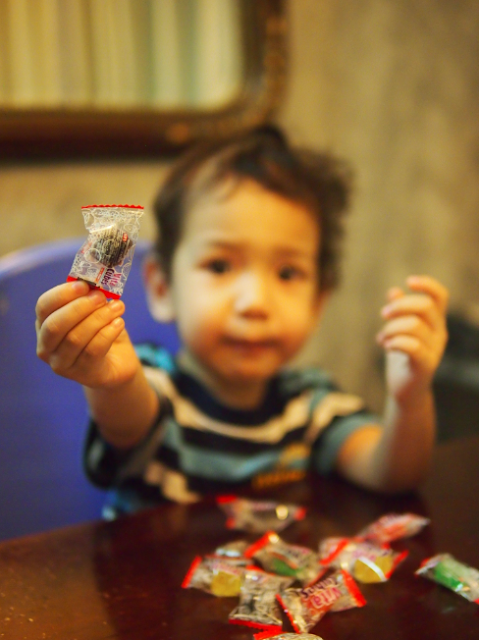 And anyone who ever gave candy to kids knows that you can't give just one piece of candy to kids! They will ask for more and of course, because you have to follow the dosage, you can't give in to their requests, and so for me vitamins disguised as candy is a bad idea. 2. Vita Cubes are better than other candy. What makes Vita Cubes better than other candy is it's fortified with vitamins. Okay, let me walk you through the reason why it's not a supplement—the vitamins in Vita Cubes are all water-soluble. That means you can never overdose on them. 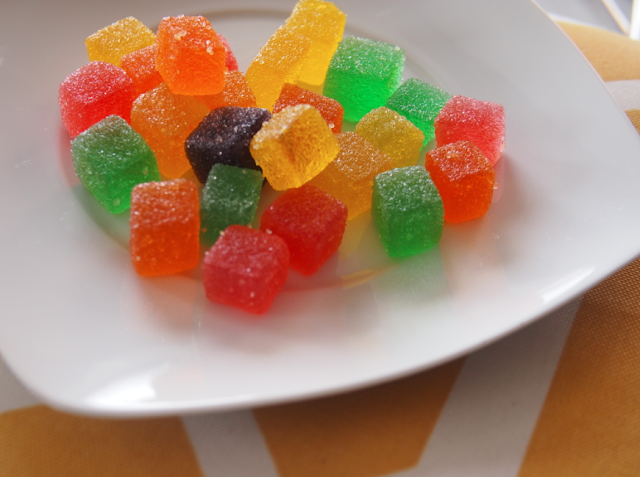 Each colorful cube is packed with Vitamins A, B complex, C and E, plus Lysine and Zinc. These are good stuff for growth, immunity, and healthy body. But let me reiterate—Vita Cubes are not vitamin supplements! 3. Vita Cubes are better for teeth than other kinds of sweets. 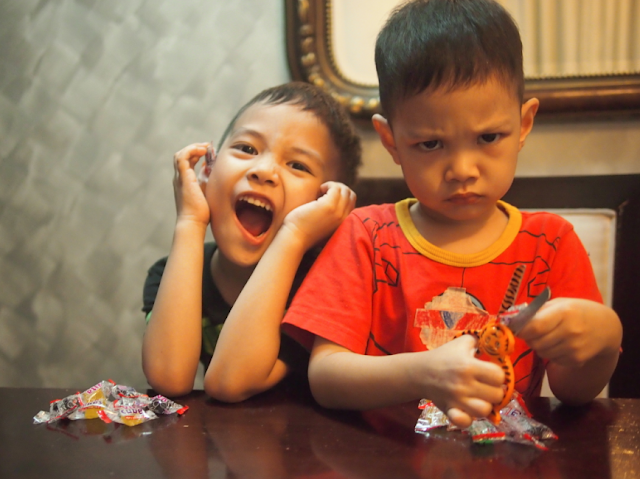 Kids and candy go together like peanut butter and jelly. So I'm not that strict when it comes to sweets. I give them to my kids in moderation, I don't make a big deal out of it (I don't use it as a prize nor do I ban them), and I make sure the kids rinse their mouths after eating sweets, and of course brush their teeth every day. It helps that our kids' dentist says that candy like Vita Cubes are better than sweet treats like cake or cookies—these get stuck in between teeth. Vita Cubes basically melt away in the mouth so, after a drink of water or a mouth rinsing, your teeth are good! 4. Vita Cubes taste great! They do! They're jelly candy that's soft yet firm. I prefer them chilled so that they're firmer. I also find that chilled Vita Cubes taste better—the juicy flavors of strawberry, mango, orange, grape, and apple are magnified. So yum! My kids' favorites are strawberry, apple and orange. I like grape and mango. I love the mango actually—it's like a juicy dried mango. You gotta try it to know what I mean! 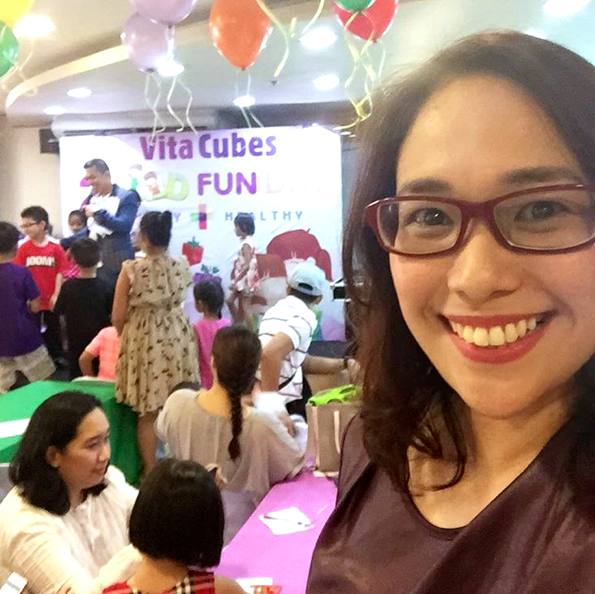 Last Saturday, I had such a fun time sharing with other moms why I love Vita Cubes. 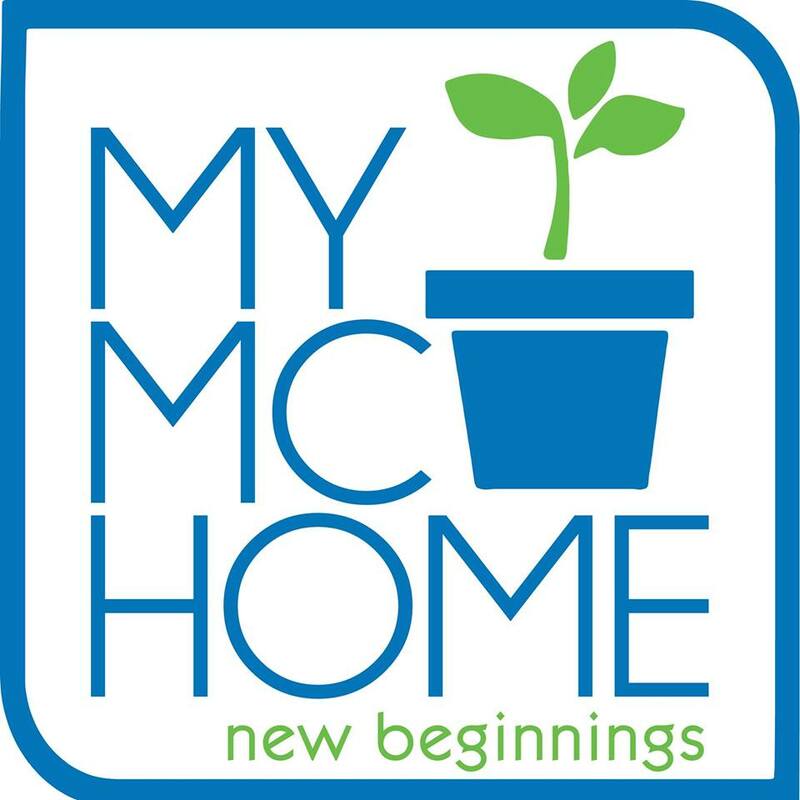 Hi, mga mommies!!! 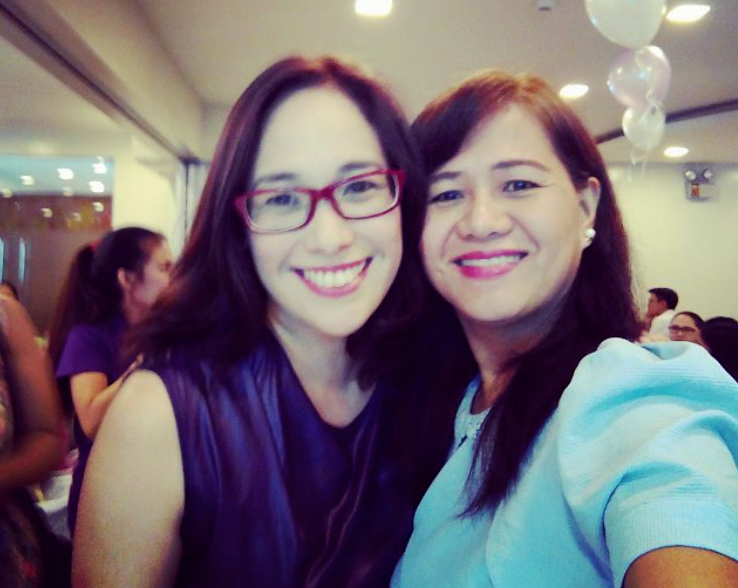 It is always a lovely occasion when I meet other moms especially when they are Loyal Readers! 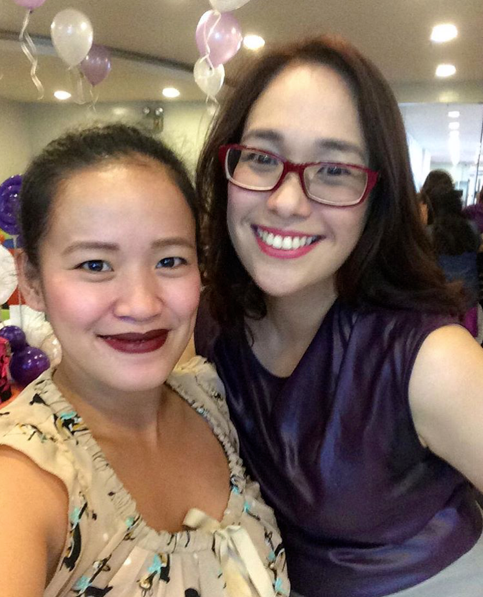 With Neri Ann of Nheng's Wonderland. With Nedy Clazo of Nedy. With RJ Dancel of The Millennial Panda. At the Vita Cubes 2 Good Fun Day, mommies, daddies and kids were treated to fun games, lots of activities, play time, good food, and of course tons of Vita Cubes! 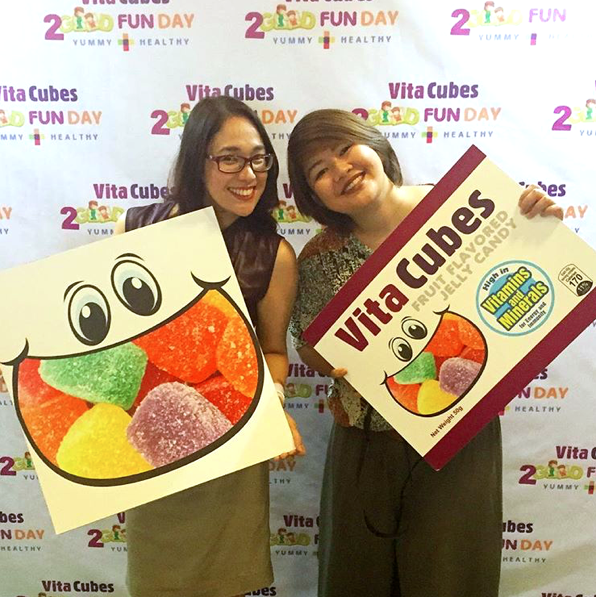 Thanks so much, Vita Cubes, for inviting us to a day of good fun. I had a good time meeting moms and their babies, plus chatting with many other mommies. An afternoon well spent talaga! Anyway, if you haven't tried Vita Cubes, please do! Especially since Halloween is right around the corner and wouldn't it be nice to celebrate the candy holiday with the better candy? It's so affordable at just P12 a pack. You can find it everywhere, too—Robinsons Supermarket, SM Supermarket, Waltermart, Landmark, Pure Gold. Even in Mercury Drug and Mini Stop! You can also check your nearest sari-sari store because there are P1 individual packs. Bili na for Halloween! Thanks for the special mention! Nice to see you again! Workshop please!!!!!!!!!! !